another indie maker I met at the Cocktails&Colors event in Vegas was the lovely Lou from Lou It Yourself, who I would say is knows for her beautiful rainbow of cremes! 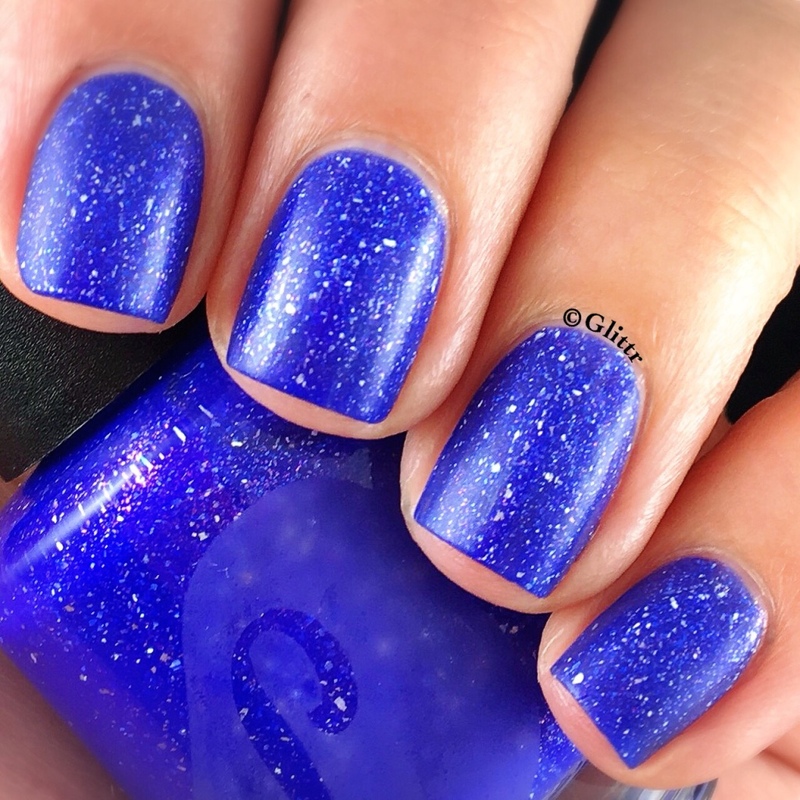 At the event, I was admiring (aka dribbling over) her In Betweeons collection, which she explained is a blend of her Bright Ideas neon collection polishes, so crosses between for example the purple and the blue, making it a blurple creme – just take my money, lady! I was so caught up in conversation with her though that I totally forgot to take pictures of her display and her polishes, so I apologise for not having anything to show here, you’ll just have to check them out on her website because they are available now! But only until 08/19/2016 so get right over there if you want to get your hands on em! And besides polish, Lou also sells all kinds of awesome stuff like vinyls and body products too! 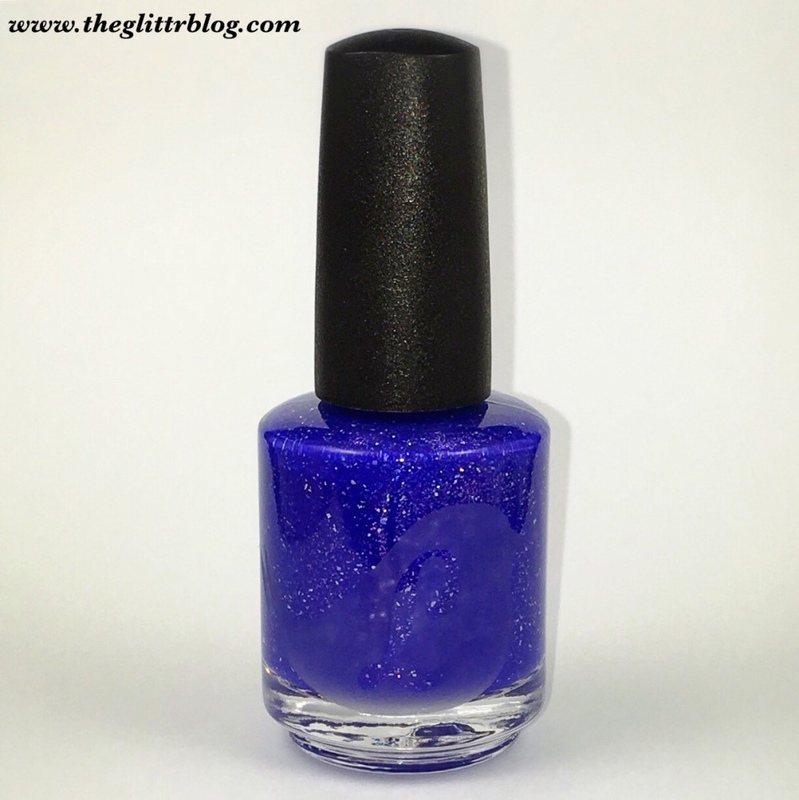 What is new and coming out this Friday 08/05/2016 is the polish that was included in the goodie bag, and even if it’s not one of my beloved cremes, this was one of the polishes I was most excited about trying! 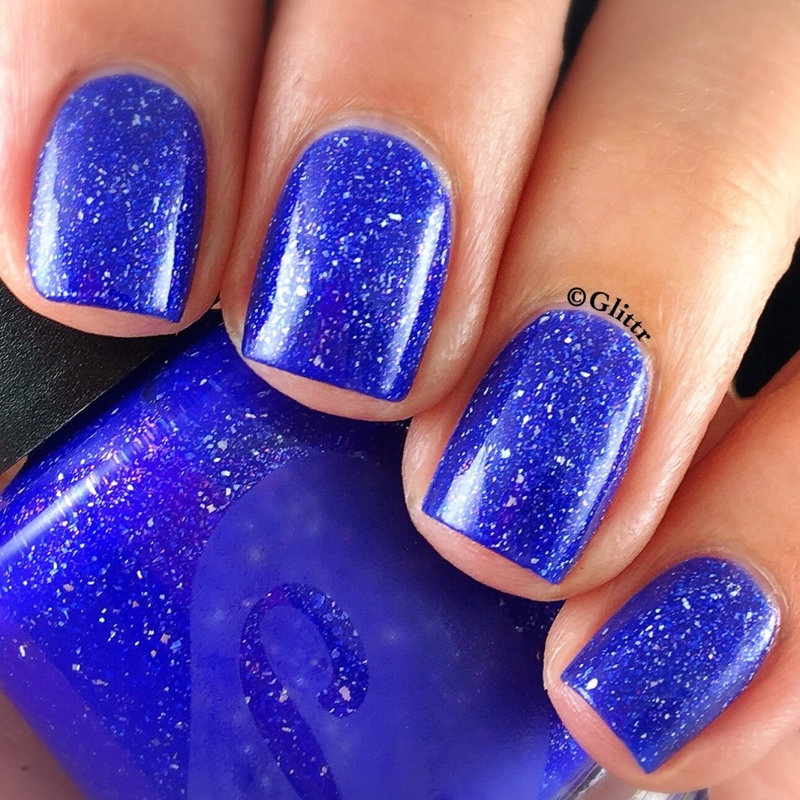 This is Booze And Bad Decisions (very fitting for Vegas I’d say) and its a gorgeous blurple glittery shimmer scattered holo I don’t even know how to describe this kinda polish! It goes on pretty opaque, I did two coats and topped it with Glisten&Glow HKgirlTopcoat. Did I promise too much?! I don’t think so! Just looooook how pretty!! I was super excited about this one because like I was talking about with Lou, I always gravitate towards purple-y polishes! And this might look more blue in the picture, but I promise there is some blurple action going on in this baby. I had to see what this looked like mattified (matte all the flakies and all that), so I got out my OPI Matte Topcoat and it did look kinda cool! I do prefer the glossy version though, but either way this is a stunner! As I said, it will be releasing this Friday so set your alarms, you won’t want to miss out on this one! On a side note, Lou was super sweet and a joy to chat to! What I found super cool is that she etches her logo onto her bottles herself, which makes them super awesome and unique! Hope you enjoyed this quick show of blurpleness and now I’m just starting to make up words (ha, you think) so I’m gonna see you again on Saturday with another new indie that I had never even heard about before the Cocktails&Colors event!